CareerTrackers Interns and Alumni represent a generation of Indigenous professionals who will change the landscape, not only of corporate Australia but of the wider Australian society. Join us to help make this happen. 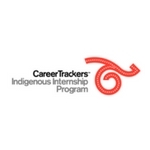 CareerTrackers is a national not-for-profit organisation that creates internship opportunities for Aboriginal and Torres Strait Islander university students. We are a fast-paced, innovative organisation, leading in the area of professional Indigenous employment. We currently work with 1,438 students, 37 universities and 143 corporate partners nationally. Our goal is to increase the representation of Indigenous Australians in professional private sector employment. CareerTrackers is growing incredibly fast and we are hiring in our offices across Sydney and Melbourne. As an Advisor, not only are you shaping the lives of CareerTrackers participants, you are also developing your own career. Every Advisor is provided with coaching to develop their skills and confidence. In addition, you will have access to industry experts who provide ongoing training and development.